This item is not available for purchase online. Please call 719-598-1312 for more information. This special edition model will make you smile. It is perfect for sewing enthusiasts who want to create amazing things for their loved ones. 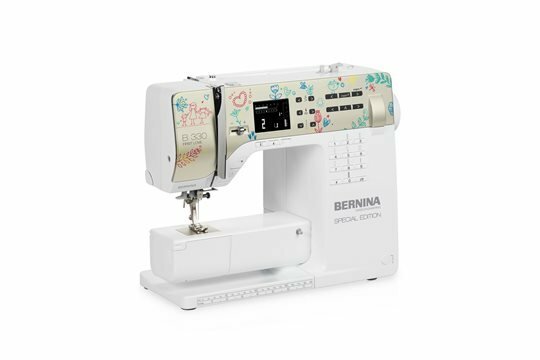 The limited edition B 330 First Love is an ideal gift for the best moms in the world. You’ll get quality from the very first stitch with many user friendly features to make your sewing life easier. This special model is not only attractive but also meticulously engineered to help you sew the widest range of fabrics without a problem. It has 97 stitches including a sewing alphabet and automatic buttonhole. Standard accessories include five presser feet and an invaluable free-arm extension table. A wide range of optional accessories will help you expand your sewing creativity.